The ZX Distance and Gesture Sensor is a touchless sensor that is capable of looking for simple gestures. The very smart people at XYZ Interactive have created a unique technology that allows for simple infrared beams to be used to detect an object’s location in two dimensions. That means that not only can you detect gestures or had movements over the board, but you can also use it to determine distance, or how far away an object is from the sensor. The board communicates over I2C or UART. Want to see it in action? Good, we have a video for you. This week we also have the new version of the popular uArm. The uArm is an Arduino-powered, 4-axis robot arm that has been modeled after industrial pallet packing and car building robots which can be set up and used straight off of your desktop. 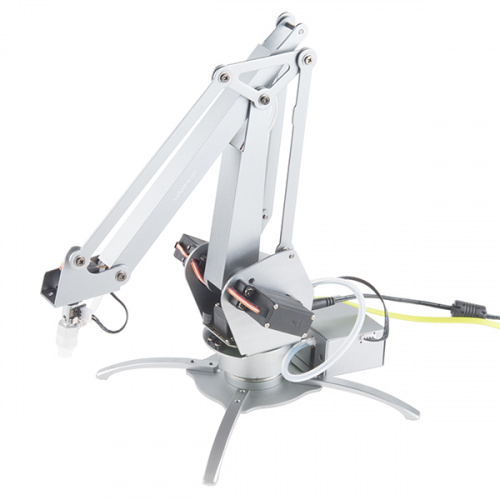 Each uArm is equipped with three digital servos at the base to control the basic movement of the arm and an additional mini servo attached to the end-effector that moves and rotates the object you are lifting with your chosen manipulator. The new version has essentially the same functionality as the previous version, but gets an upgrade to the overall structure (base, electronics housing, etc) and has a new lower price point. 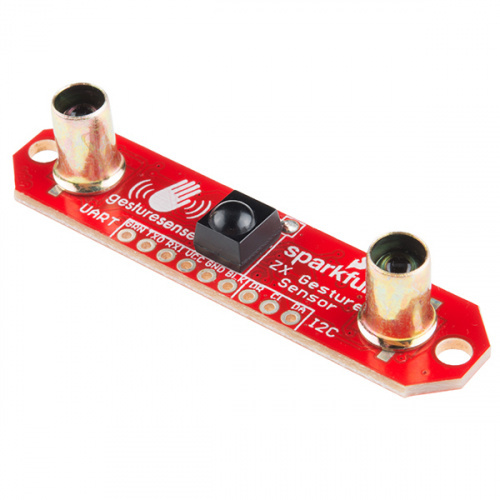 Finally to celebrate Nikola Tesla's birthday we are taking 10% off all SparkFun Blocks for Intel Edison. This rare sale only lasts until midnight MST today, so get them before someone launches a smear campaign about your superior current while they last! That's all I have for this week. As always, thanks for coming back and checking out the new stuff. See you next week! HA! 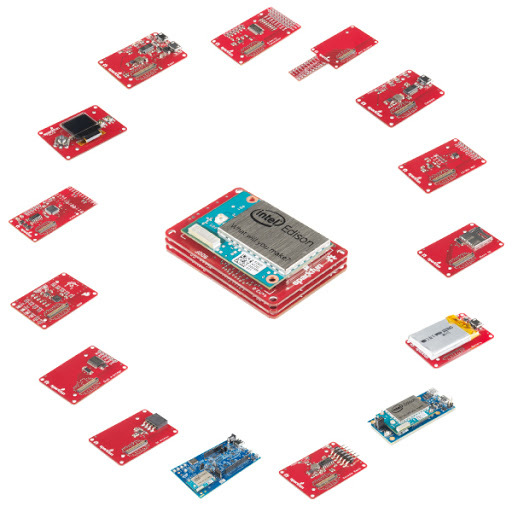 Putting EDISON modules on sale on TESLA's birthday! Bet the old man is rolling over in his grave! I like your sense of humor! To be fair, Edison did have respect for Tesla in his later years. He even lent his lab to Tesla for a while in 1895 when Tesla's lab burned down.